Are you aware QuickBooks® Online Accountant has a new Practice Management feature? To learn more about how this works, we ran this article in late May to explain the benefits and advantages. As more and more practitioners begin using the feature, we will run case study articles from various accountants to explain how they are using it in their practices. The first one below is from ProAdvisor Katie Bunschoten of KHB Office, a regular contributor to the Firm of the Future blog. Workboard reports. Those things make our day go ’round at KHB. We have meetings every Monday to go over our manually developed Excel-like project database, full of who is working on what and what’s due when. It adds yet another layer to our ever-burgeoning number of apps that keep us moving forward. I have hope today that one more item is disappearing from Excel and is popping up in QBO. The workboard report. 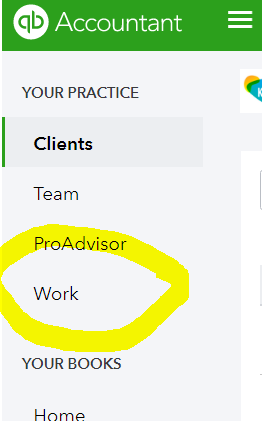 If you now login to your QuickBooks Online Accountant (this is a QBOA-only function), you can now click on a "Work" button. Doing so brings you into a project staging screen and the new QBOA Practice Management module. Huzzah! For the sake of privacy the above screen is truncated, but you get the idea. It creates a pipeline of what projects are due when. As you complete projects, the push through the pipeline. To start, it brings in tasks based off of QuickBooks, such as payroll entry deadlines and unreviewed transactions in the bank feeds. You can add your own, however! See below. I’m interested in a few things. Can we add custom fields? Can we set up budgets for things like software setups or training series? It’s definitely a great start to eliminating another Excel sheet (I actually use Airtable, which is still great for loads of other things). I also like the ability to assign different tasks to team members. I’m excited to see where it leads for sure. 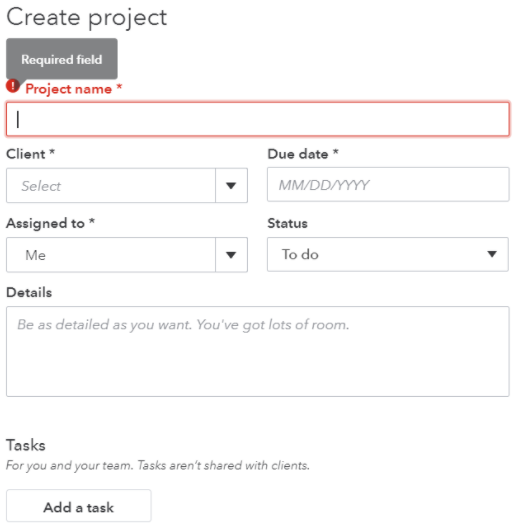 In addition to creating projects and subtasks, you can also submit your client requests directly through QuickBooks, instead of tracking all of those horrible emails. (Side note – email is one of my least favorite things. I really love tools that cut down on time spent processing them. When you get 100+ a day, things like this make you giddy!). When I first saw the Client Request screen, I thought it was a place to log tickets for requests made by clients. But no, my friend! It’s even better. Client Requests are where we can request items like bank statements, etc, from our clients. You enter the request, and it dings the client and sends whatever you are submitting to their personal QuickBooks environment! Again, huzzah! I also really love that you can request docs and information from clients and it will pop up in their QuickBooks Online. No more lost emails and much more efficient! 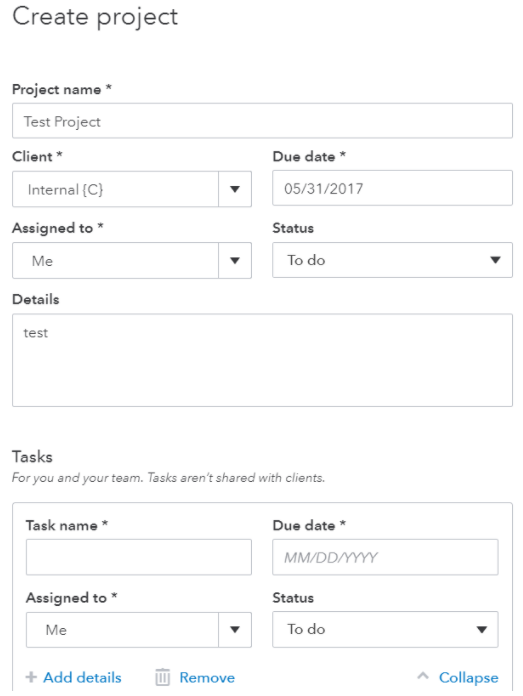 In addition, deadlines are imported automatically from client environments such as payroll. It is taking a little time to shift the team’s thinking, but I’m confident that once we totally rely on Practice Management, it will be one less spreadsheet. If you haven’t started using it yet and you work as an accountant or bookkeeper, give it a shot!